Have an active Research Subscription? PLEASE NOTE: This product has been updated. The newer 2018 list of 1600 IoT Enterprise Projects is now available for purchase HERE. In our view, the 2018 UPDATE to this IoT project list represents the most comprehensive and structured database of enterprise IoT projects on the market. All projects were double-checked and verified. However, this list does not claim to be exhaustive or complete. 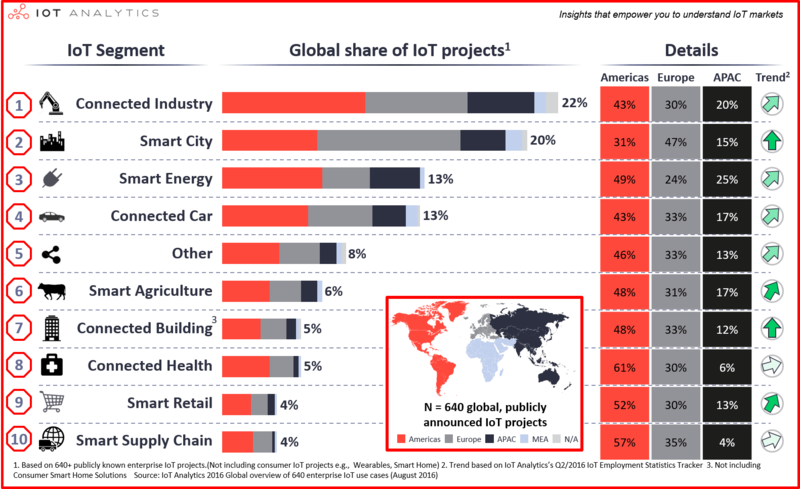 The List Of 640+ Enterprise IoT Projects is a structured repository of 640+ real projects that are ongoing or have been successfully completed and can be classified as Internet of Things implementations in non-consumer settings.